When Señora Mir lays her body across the abandoned tracks for a tram that will never arrive, she presents Ringo Kid with a riddle he will not unravel until after her death. In Ringo's Barcelona, life endures in the shadow of civil war - the Fascist regime oversees all. Inspired by glimpses of Hollywood glamour, he finds his own form of resistance, escaping into myths of his own making, recast as a heroic cowboy or an intrepid big-game hunter. But when he finds himself inveigled as a go-between into an affair far beyond his juvenile comprehension, he is forced to turn from his interior world and unleash his talent for invention on the lives of others. And all the while he is left to wonder - what could have happened to Señora Mir that day to send her so far beyond the edge of reason? 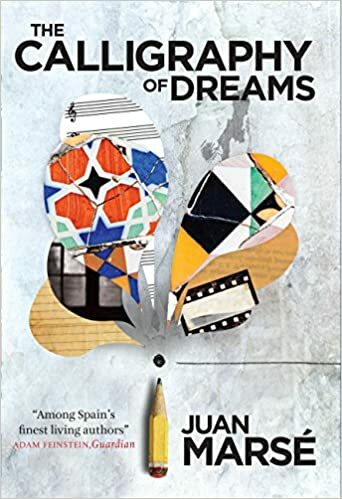 The Calligraphy of Dreams is a luminescent coming-of-age novel with a devilish twist. Reminiscent of Atonement and The Go-between, it is the culmination of the life's work of one of the greatest living Spanish men of letters.